*extremely Janis Joplin voice* ​Oh Lord, won't you buy me a replacement for Benz? Oh, and 'me' in that scenario is Zinedine Zidane. And you have to crunch up the word 'replacement' into three syllables to make it scan. But other than that...yeah, Real Madrid need a striker. Karim Benzema is La Liga's fourth most prolific goalscorer this season, which is good (if not that good for a team who should be challenging for the title). On the other hand, 15 of his 17 league goals have come against teams who are now sitting in the bottom half of the table (which is bad). This season has seen him step out from ​Cristiano Ronaldo's enormous shadow (he got five league goals last season! 11 the season before that!) and take up the mantle of the leader of ​Real's attack. He's scored two goals against top half teams. He's stepped out of Ronaldo's shadow, realised he's a vampire and been vaporised by the daylight of pressure. When Real have lost in the league this season – and they've lost a lot, nine times in ​La Liga – ​Benzema has scored once. When they've failed to win (12 games), Benzema has scored twice. To borrow the Spanish term, he's decisive. But decisively bad. When he's been guff, Real have been guff – and he's been guff when it's mattered. His decisive goals this season – 'decisive' here meaning that the result would have been different if you just take them away, which isn't a perfect measure but it's close enough – have come against Rayo, Villarreal, Espanyol, Levante, Huesca and Eibar. That's the bottom three and three other bottom half teams. There's a value in putting away teams you should be beating, it's true, but you have to do it against some good teams too. 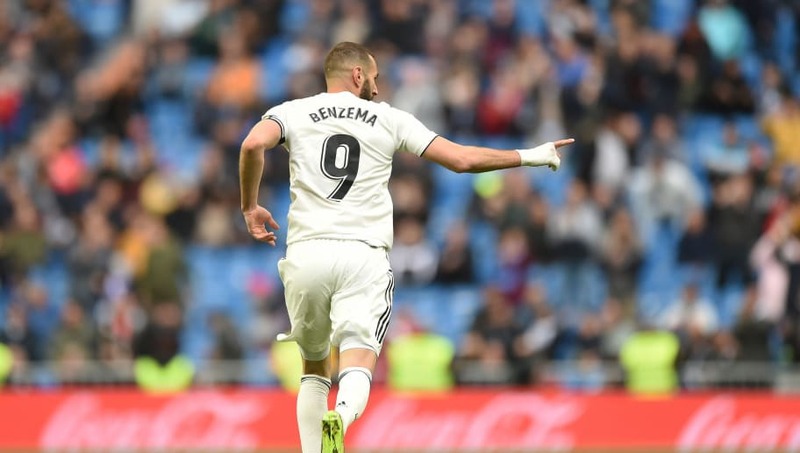 The more you contextualise Benzema's performances in the framework of what Real have needed this season; leadership, decisiveness in important games, some kind of triumph to hang their hat on, one position being locked down as they regenerate over the next two summers, the more he's been lacking. ​I wrote about a month ago that Real only need a couple of signings this summer to compete: A centre-back and a forward. They signed Eder Militao to slot into the defence two days later, leaving just that one spot lacking – maybe two, if you grant that a right-sided forward to complement Vinicius or Asensio on the left would be useful too. Unlike the centre-back vacancy though, Real appear in no hurry to sort out their problem with bringing in someone who can reliably win them big games. That's not great, not least because their second highest league scorer this season is Gareth Bale (eight goals, two against top half clubs), who Zidane wants to put in a box and post to Venezuela.  Sport: “The best duo in Europe"
The third highest scorer is Sergio Ramos with six. After that, it's Casemiro, Dani Ceballos (!? ), Luka Modric and Isco with three each. So yeah, replacement for Benzema. This summer. And if it's Eden Hazard, just throw the whole goddamn club out and start from scratch because it's obviously being run by a cadre of dunces.